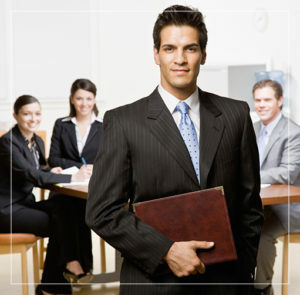 Howmedica Osteonics Corporation is doing business as Stryker Orthopaedics and is based in New Jersey. It’s a company with a long history of inventing and distributing many types of orthopedic products including hip, knee, bone cement and bone substitutes. Stryker’s year-end sales for 2016 reached $11.325 billion. The latest Stryker recall was in August 2016. 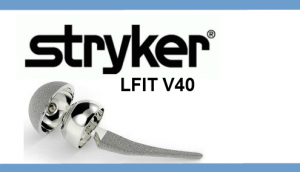 Stryker issued to surgeons an “Urgent Medical Device Recall Notification” directed at any of their patients who had Stryker LFIT V40 femoral heads manufactured before 2011. Citing numerous complaints of problems and many failures associated with this hip replacement device. Many times these patients have to endure hip revision surgeries to correct the problems. Other Stryker recalls listed on the FDA website: Recall Lot serial numbers. 2013 Class 2 Device Recall Accolade II 127 Neck Angle Hip Stem. 2012 Stryker issued a recall of its Rejuvenate and ABG II hip replacement products. It was believed that these ceramic balls used instead of the metal balls would help prevent metal ions from entering the surrounding skin or blood. However it was found to not be the case. 2012 Class 2 Device Recall Accolade TMZF Plus Femoral Stem. 2011 Class 2 Device Recall Stryker Orthopaedic – Prosthesis, hip, semi-constrained, metal/polymer, cemented. 2011 Class 2 Device Recall Restoration ADM System X3 Acetabular Insert. 2011 Class 2 Device Recall Accolade TMZF Plus Hip Stem. 2010 Class 2 Device Recall Omnifit PSL M/S 3Hole Cup. What is the Stryker Hip Replacement Lawsuit? 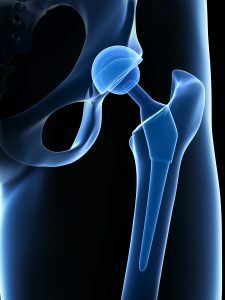 The bases of the hip replacement lawsuits claim is that the Stryker femoral head is prone to corrosion and that the metal used in the product can cause chromium and cobalt metal toxicity or metallosis. This occurs when the metal ball rubs against the cup causing tiny metal ions to leach from the metal ball. The lawyers and attorneys at National Injury Help are currently accepting defective hip implant claims from those hurt or injured from any Stryker Hip Replacement. There may be a class action lawsuit forming with substantial cash payout settlements from claims filed. How do I know if I’ve had a Stryker Hip Replacement? Your doctor’s records will show which product(s) you have had. All hip replacement products carry a bar-code for identifying which product was used. These bar-codes can be removed from the products package and then attached to your medical records. Contact your doctor to find out which hip replacement was installed. Have there been other Stryker hip implant class action lawsuits? Stryker Orthopaedics has had a history of these hip replacement lawsuits. They faced a $1 billion dollar settlement deal back in November 2014 to resolve thousands of claims. The problem in 2012 involved their modular-neck stem stating the parts could corrode, cause pain and swelling. Spokespersons for the company assured investors that this settlement would not harm the company. Last year the company’s total sales were $11.325 billion. Can I sue Stryker for my hip replacement? If you have had a Stryker Hip replacement implant and have had or need revision surgery you may have a claim. We can help determine if you can in fact sue Stryker Corporation. Call today at 1-800-214-1010. What are the problems with the Stryker Hip Implants? Like many of the common modern hip implant products, which are metal-on-metal types of devices, they can deteriorate over time by constant rubbing of the metal parts. This can lead to metal ions leaching into the blood stream causing a medical condition known as metallosis. How much is the cash settlement for the Stryker hip replacement lawsuit? The answer to these questions can be difficult to predict, as the class action for this hasn’t started yet. There is still time for join in this hip implant lawsuit, but there are statutes of limitations that apply. Some of the past defective medical device lawsuits have had millions of dollars in a compensation fund, and then that is divided up between all who have joined the lawsuit. Example: $100,000,000 in a settlement fund that would serve 1,000 victims would be $100,000 per person. This is only an example and does not represent what may happen for the Stryker Hip Replacement lawsuit payout. If you had a Stryker hip replacement surgery, and have suffered any side effects please protect your rights and contact us today as there may be substantial cash awards from settlements and claims filed. Use the form on the right side of your screen or call us toll free at 1-800-214-1010. Stryker hip replacement lawsuit cash claims & settlement payouts page updated on April 10, 2019.